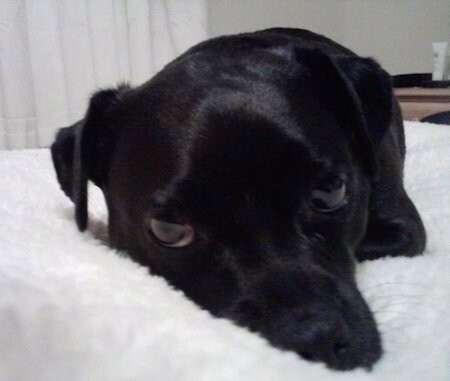 "This is Bob, my Pug / Staffordshire Bull Terrier mix at 4 years old. He is a nice dog, very placid, good with kids, but can be a little rough at times. He can get over excited and doesn't know when to calm down. He likes food and toys (especially slippers). Bob needs quite a bit of exercise or he will get very hyper and agitated. Bob loves walks." The Staffy Bull Pug is not a purebred dog. 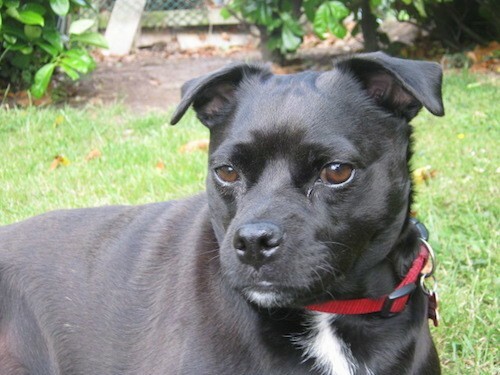 It is a cross between the Staffordshire Bull Terrier and the Pug. The best way to determine the temperament of a mixed breed is to look up all breeds in the cross and know you can get any combination of any of the characteristics found in any of the breeds in the hybrid. Not all of these designer hybrid dogs being bred are 50% purebred to 50% purebred. It is very common for breeders to breed multi-generation crosses.